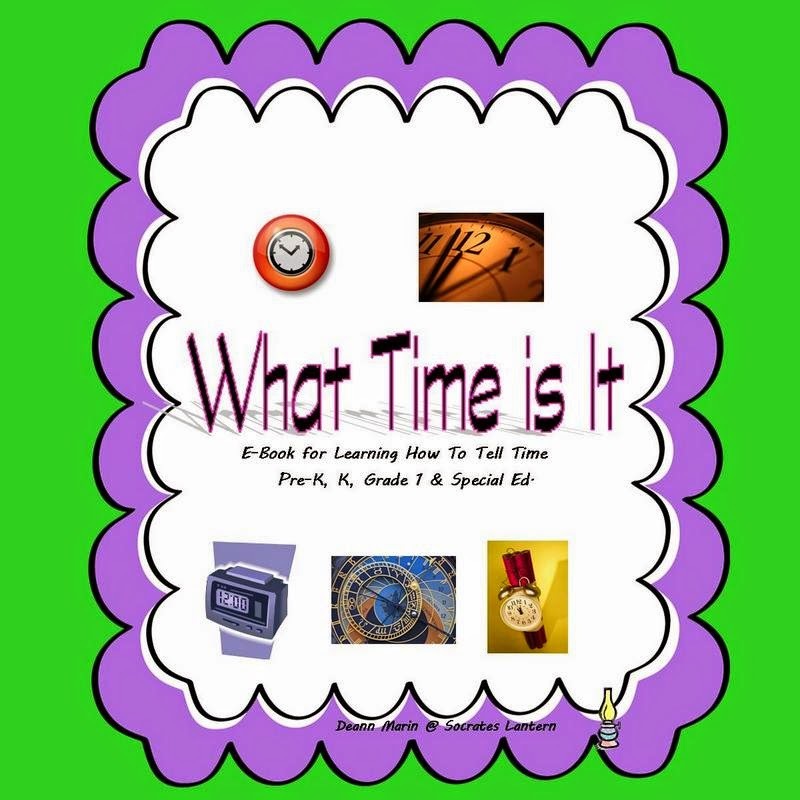 The Best of Teacher Entrepreneurs II: What Time is It? If you'd like to see what else I have to offer please visit my store. I remember when I was a child back in first grade, I was so thrilled because I learned how to tell time. After all these years I can still remember the large clocks that we made out of cardboard, we cut out the clock and the hour and minute hand, we added the numbers, drew a line down the center and wrote before and after. Then my teacher punched a hole in the middle and the hands were attached with a paper fastener. She would tell us to find a particular time and we would move the hands to show her. 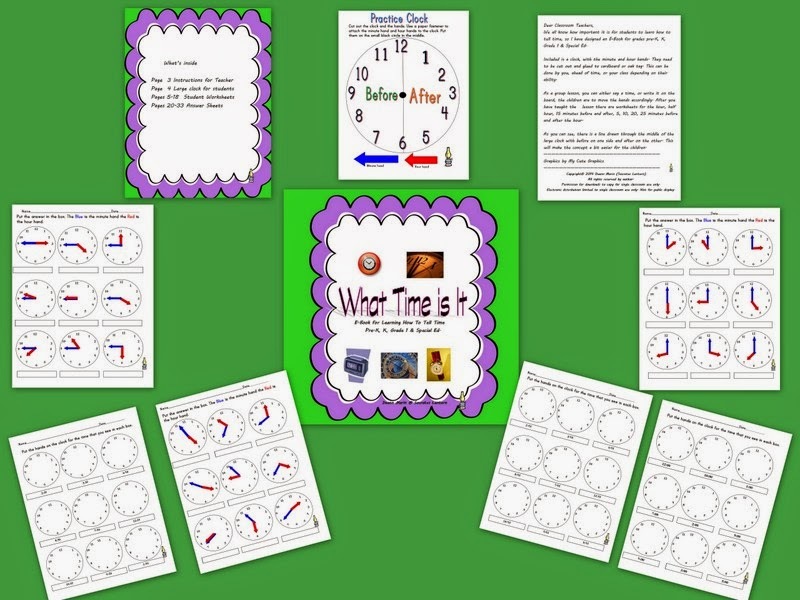 Since I was able to learn this so easily, I decided to use her idea and make my own bundle to help children learn how to tell time. They need to be cut out and glued to cardboard or oak tag. This can be done by you, ahead of time, or your class depending on their ability. As a group lesson, you can either say a time, or write it on the board, the children are to move the hands accordingly. After you have taught the lesson there are worksheets for the hour, half hour, 15 minutes before and after, 5, 10, 20, 25 minutes before and after the hour.